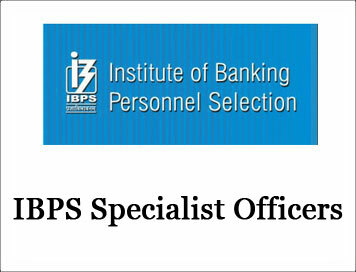 (Notification) IBPS Specialist Officers Exam (CRP SPL-VIII) - 2018-19 | BANK EXAM PORTAL : IBPS, SBI, PO, Clerk, IPPB, Bank Jobs Aspirants Community. in December 2018/ January 2019.
thumbs are missing, the impression of one of the fingers of the left hand starting from the forefinger should be taken. If there are no fingers on the left hand, the impression of one of the fingers of the right hand starting from the forefinger should be taken. If no fingers are available, the impression of left toe may be taken. In all such cases where left thumb impression is not uploaded, the candidate should specify in the uploaded document the name of finger and the specification of left/right hand or toe). - a hand written declaration (text given below) (In case of candidates who cannot write may get the text of declaration typed and put their left hand thumb impression below the typed declaration and upload the document as per specifications). ensuring that the all these scanned documents adhere to the required specifications as given in Annexure III to this Advertisement. (v) The above mentioned hand written declaration has to be in the candidate’s hand writing and in English only. If it is written by anybody else or in any other language, the application will be considered as invalid.